Save yourself from the hassle of trawling the web. A comparison list of available vehicles supplied by the most reputed car rental companies like Avis, Thrifty, Budget, Europcar and Hertz after you fill in the search menu with your travel details. Ballina is a beautiful city located in New South Wales, Australia. In fact, the city is situated on the Pacific Highway and is easily accessed. Nowadays, Ballina described as one of the most beautiful cities located on the Richmond River. Witness the view over the city, the beaches, lakeside, the river and impressive resorts, which offer diverse possibilities to relax and enjoy a vacation, to all tourists. From Ballina Airport, tourists can find links to Melbourne and Sydney, as well as other major locations. Why rent a car in Ballina with VroomVroomVroom? Wide selection of vehicles: Whether you are looking for an economy car or a luxury vehicle, you can easily find it in our list. We also compare Campervan Hire Rates for Ballina. Click here if a campervan or motorhome is more your style. Before you hop in your hire car, make sure to check Live Traffic NSW to serve as your guide for routes within the city and when you plan to head to Sydney and Melbourne. Ballina is a beautiful town located on the NorthCoast of New South Wales. The city is situated on the Pacific Highway, and was established on the northern shore of the Richmond River near Cape Byron. It is about 750 kilometers north of Sydney and about 205 kilometers south of Brisbane. It is also home to the world's largest prawn —made of concrete and fiberglass. 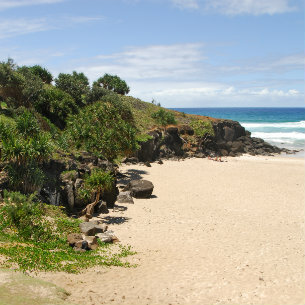 This is one of the most beautiful beaches in Ballina. Although there are numerous beaches within the city, which offer tourists driving their hire car the possibility to plan a swimming adventure, a surfing or fishing activity, the Lighthouse Beach is the only place in which tourists with hire cars can get a clear and spectacular view over the coast. This is a location in Ballina that tourists having a hire car most love to visit. Planning a cruise or a simple trip on The Richmond River seems to be the perfect adventure and the best way to have a complex view on the city and its amazing beauty. Many beaches and an amazing natural spectacle describe best what tourists can see in this amazing city. The museum features one of the balsa rafts which were used for a 1973 Ecuador sailing expedition. The reason of this expedition was to prove that people in ancient times were able to sail across the Pacific Ocean. The complex features three pools, for tourists of all ages to enjoy the most incredible adventures. Here, tourists parking their hire cars, can relax or simply enjoy swimming. Just around 18 to 20-minute drive from Ballina and 15 minute-drive from Byron Bay, the resort is ideal for tourists and locals who are looking for a quick getaway. Once you arrive at your apartment, you can park your rental car at the garage and easily explore the restaurants, cafes and shops by foot. Lennox Beach is located right in the heart of the village centre thus making it the perfect choice for people looking for a longer term stay. Guests can take advantage of the resort's modern facilities including a heated lap pool, jacuzzi spa, steam room, barbecue area and tennis court. The park faces the Angels Beach and is surrounded by coastal bush land. It is also the ultimate beachside hideaway. FRTP is adjacent to the renowned Flat Rock, thus making the park a hidden treasure. The park is only a short drive from Ballina and Lennox Head has gas heating for the amenities and safety lighting around the park. Flat Rock Tent Park is the best place for secluded camping holidays. 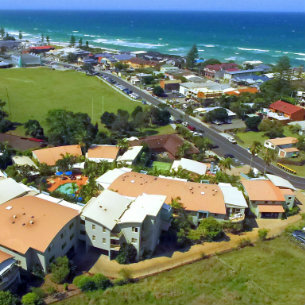 The holiday park is situated beside the coastal freshwater tea tree lake of Ainsworth and next to the Seven Mile Beach, renowned among surfing enthusiasts for its world famous right hand point break. North Coast Holiday Park is only a short drive from Ballina and Byron Bay and is an easy walking distance to the; fresco dining and boutique specialty shops of Lennox Head Village. Alongside the park, picturesque barbecue settings and water activities such as windsurfing, canoeing, and sailing are also available. Another perfect place for a coastal holiday, Lake Ainsworth is one of Ballina's treasures. Feedback: What a fantastic site! Feedback: Too easy! Thanks again guys!